It is no secret that I am a serious chocolate fiend, a lot of my desserts revolve around chocolate, but I also really love lemony puddings – lemon drizzle cake is my go to cake and I have recently become rather enamoured with lemon curd. 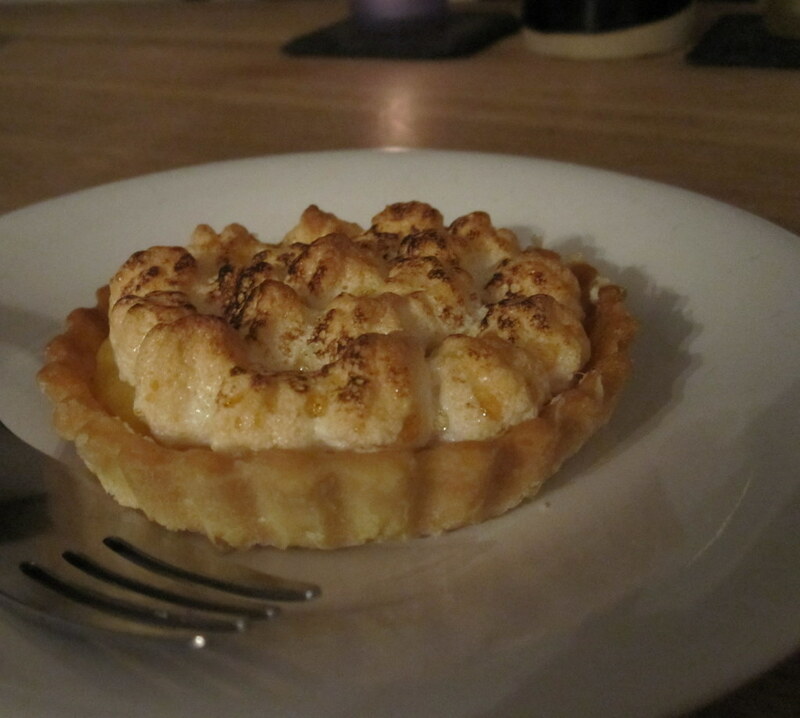 Onto the lemon meringue pielettes. I planned on making a big pie but I bought these ever so cute little tartlette tins at the weekend so they went into four individual tins. Makes one large pie or 4 tartlettes with lemon curd leftover. Melt the butter in saucepan with the juice, zest, salt and sugar. Whisk together your eggs and egg yolks, gradually pour in the egg mixture til combined, then whisk over a very low heat until the mixture starts to thicken. You want to take it slightly thicker than normal lemon curd, like thick custard. Once it is at the right consistency pour into a cold bowl to stop it cooking further. Whisk the egg whites together with the salt until it forms soft peaks. Then slowly add in the sugar, one tablespoon at a time, whisking each time til you get stiff peaks. Roll out your pastry to about 1cm thickness. Put into a greased large pie dish, or into greased tartlette tins. 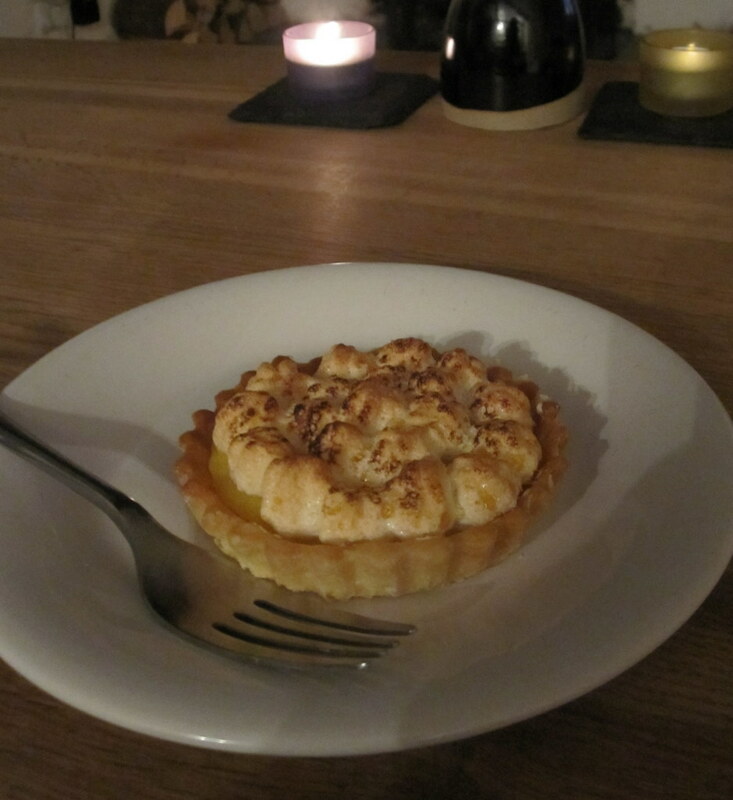 The best way to line a tartlette tin is to use the tin as a pastry cutter and then lay over the tin. Blind bake your pastry – 10 minutes for tartlettes, 15 minutes for a large pie, til it is lightly golden brown. Turn your oven up to 200c / gas mark 5. Then add in your lemon curd, you want it to reach to the top of your pastry as the meringue sits above the line of the tin. You can now either pipe your meringue on if you are fancy (like I was), or just spread it on with a palette knife – working lightly so as not too knock too much air out. Bake in the oven for about 15 – 20 minutes til the meringue is crispy on the outside and puffy inside. Keep an eye on it, some ovens may cook it quicker and it can burn quickly. Leave to rest out of the oven until cool. 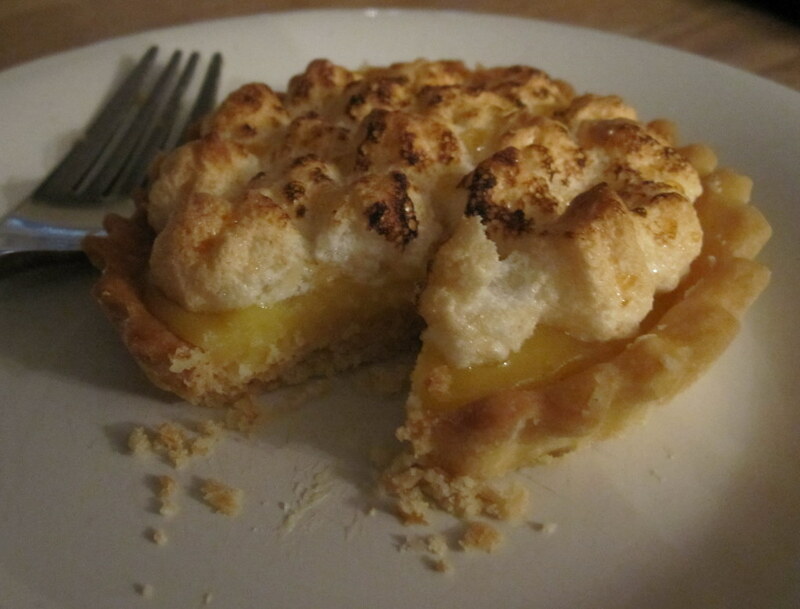 Some meringue recipes say leave it cool inside the oven, with the oven turned off – but I think it was ok out of the oven at room temperature. Any leftover lemon curd can be put into jars, or saved to make a simple lemon tart.